We offer personal service to every client we work with. When you choose Smith & Nowlin, you will find that we are easily accessible. You will find that we remain in contact with you throughout the process, keeping you informed of the steps involved and the choices you have to make in your case. You will find that we are dedicated to providing you with the level of service you deserve. 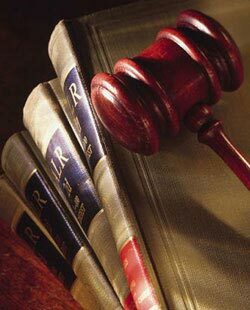 We are board certified in family law by the Board of Legal Specialization of the State Bar of California. This certification is granted to a select few lawyers who meet a high standard of experience, education, and dedication to family law. Since our other major area of practice is immigration and naturalization, we have the knowledge to provide guidance to immigrants in all areas of family law, from child custody to divorce. We are truly committed to the practice of immigration and naturalization law. Our commitment stretches beyond helping individuals, employers, and employees in these matters. As members of the American Immigration Lawyers Association, we take a proactive role in working and lobbying on local and national levels to resolve important challenges facing immigrants who are coming to the United States. To learn more about how we can help you, contact us at 805-650-8188. In family law cases, we are available to serve people in Ventura County, California. In immigration and naturalization law, we serve individuals and businesses in the Tri-County area of Ventura County, Santa Barbara County, and San Luis Obispo County.